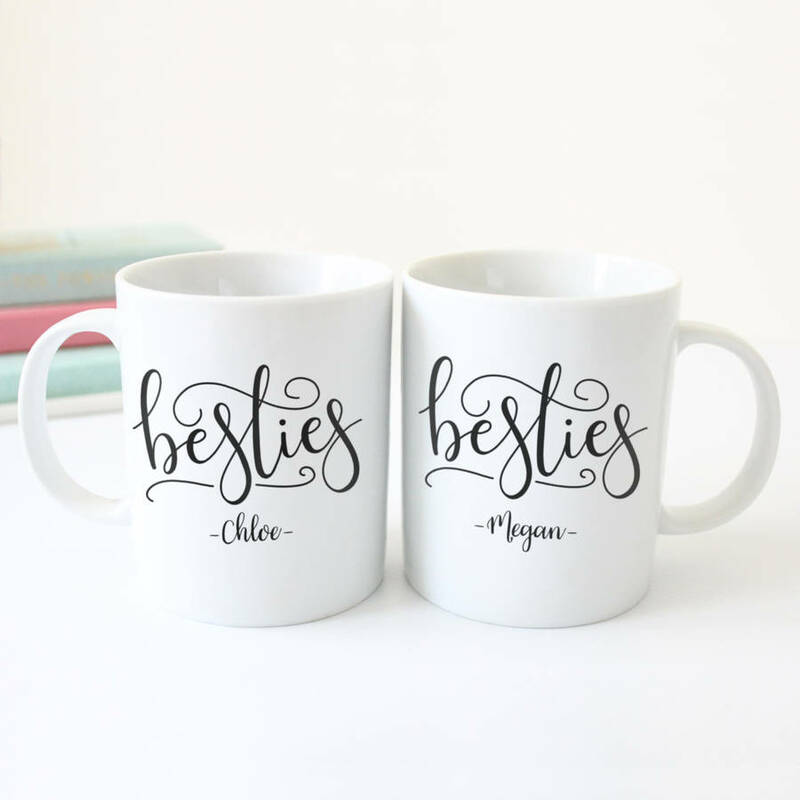 Our personalised 'Besties' ceramic mugs makes the most perfect and sentimental gift for you and your best friend or family member. The design has been lovingly hand lettered by Hope and Halcyon and is exclusive to notonthehighstreet.com! The design is printed the same on both sides of the mug. Printed with care in our home studio, wrapped in tissue paper and packed in a gift box. The boxes will be labelled on the side so no need to disturb the mugs! Why not add a pair of matching high gloss hardboard coasters for your mugs? You will receive one personalised coaster for each mug. High quality 10oz ceramic mug. Our mug creation process ensures the design will last through even the most frequent use. This product is dispatched to you by Hope and Halcyon.